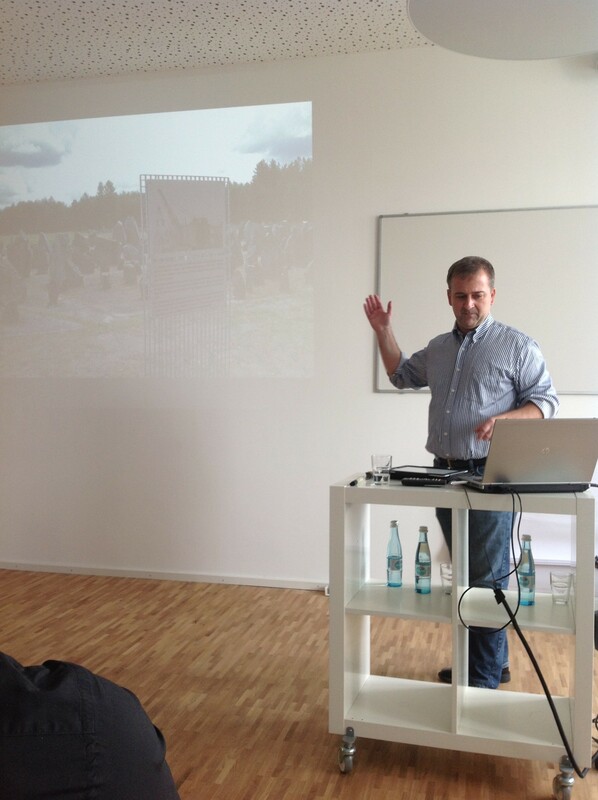 In an exciting lecture, Daniel Reynolds gave insights in his new book project “Postcards form Auschwitz: Remembering the Holocaust through Tourism” where he bridges the gap between tourism studies and holocaust studies. Since millions of tourists visiting holocaust places each year, holocaust tourism developed to a mass phenomenon. As holocaust tourism can be considered as a form of “dark tourism”, he critically discussed, why ever greater numbers of people are going to such sights, what tourists discover at such places, and whether it is an appropriate vehicle for remembering the holocaust, or if it even is the proof that remembering has been replaced by collectively sanctioned, readily consumed memorials? Further he emphasized on the idea of reproduction of the happenings, and witnessing of the events of the past by traveling to holocausts sights.